Whether you’re off on holiday or taking a business trip, always check your airline’s e cig policy before you travel with your vape gear. You should also check out the specific vaping and e cigarette laws for the country you’re travelling to. You can find out more about vaping laws in different countries in our guide to vaping abroad. We’ve compiled the following lists which detail the main UK airlines’ e cigarette policies (as of 2018) as well as UK airport vaping rules. You probably already know that using your e cig or vape on an airplane is a big no-no, but you might be wondering how to pack your e cigs and e liquids in your luggage. Airlines tend to require lithium-ion batteries to be carried in hand luggage, so you’ll most likely find you’ll need to keep your vape batteries in there. You’ll also find that you are limited to carrying no more than two batteries. If you’re taking larger hold or checked luggage you can pack your liquids in here. It’s a good idea to pack them in a plastic bag and protect them to make sure they don’t leak on your clothes. If you’re flying with hand luggage only, don’t forget the liquids limit of 100ml per bottle and that you’ll only get one small clear bag for all your liquids. 60ml Short Fill e liquids are a great solution to save you having to try to stuff a load of 10ml bottles in with your suntan lotion! The air pressure in-flight can cause vape tanks and clearomizers to leak so it’s a good idea to empty your tank before flying. We’ve put together the following list of the main UK flight providers and the specific airline ecig polices of each for you to refer to for more information. British Airways You cannot use e-cigarettes or similar items on board. They state that you can take electronic cigarettes in your carry-on luggage but are advised to seal liquids in a clear bag. You may not carry them in your checked luggage. EasyJet You can carry e-cigarettes and a maximum of two spare batteries in your cabin bag, but not in the hold. Flybe You can carry an e-cigarette on your person (filled or empty) or within your cabin bag only as long as it permits to the usual security restrictions. Thomas Cook Airlines The use of electronic cigarettes is prohibited. You may carry them on your person or in carry-on baggage.. Electronic cigarettes are not allowed within checked baggage as they may cause a fire hazard. Thomson Airways You’re not allowed to use electronic cigarettes on the plane. This includes charging. They can be carried on as hand luggage only and are not permitted in hold luggage. Virgin Atlantic Airways You can carry Electronic cigarettes onboard but you are not allowed to use them. Atlantic Airways Vaping is strictly forbidden on all Atlantic Airways flights but you may carry your e cigarettes in your hand luggage. Eastern Airways No smoking or vaping on board any aircraft or in lounges. You also cannot charge electronic cigarettes within Eastern Airways lounges. Electronic cigarettes may be carried on board but not within your luggage. Refills are not permitted. 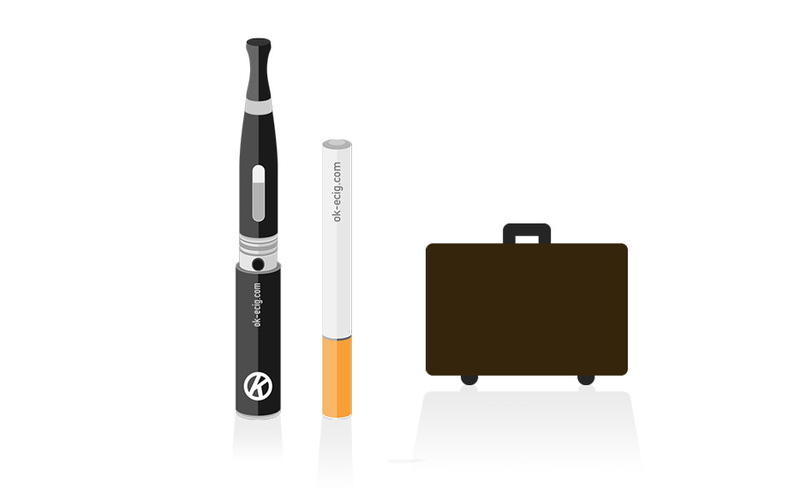 Jet2 Passengers can carry e-cigarettes in their cabin baggage but not in checked baggage. E-cigarettes are not permitted for use on flights. Monarch The use of e cigarettes is prohibited but they can be carried in your hand luggage. We have also put together the following table showing the main UK airports. Refer to this list to quickly & easily check the vaping rules at your departure airport. Birmingham Airport We couldn’t find any specific information regarding vaping however we would expect that the same rules apply as other airports. Therefore, you should only vape in the designated smoking areas. You can find these outside the terminal building and through the Meriden Bar in the departure lounge. Bristol Airport Electronic cigarettes must only be used in designated smoking areas. There is a smoking area after security where you can vape. Exeter Airport You cannot smoke or use e-cigarettes in any part of the airport. If you are flying from Exeter airport, you can vape in the smoking shelter at the front of the terminal. London Gatwick Vaping is only permitted outside the terminal buildings in the designated smoking zones. London Heathrow Passengers are not permitted to use electronic cigarettes within the premises. E cigarettes can only be used in the smoking areas outside the terminal. There are no smoking areas after security control. London Stanstead You can vape in the designated smoking areas outside the terminal. There are no smoking areas after you have been through security. Manchester Airport You can vape in the smoking areas available outside all three terminal buildings before check-in and after arrivals. Please visit our guide to taking your e cigarette abroad to find out more about countries where you can and can’t vape. Find more information on where can you vape in the UK including bus service policies, sports stadiums, concert venues and restaurants.